As a homeschooling family we are always on the lookout for fun ways to integrate educational activities into the everyday. Sometimes it means Baby E helps me count cloth diapers as we hang them to dry, sometimes it means she will measure half a cup of flour when we are baking, other times it is nice for her to have an activity that she can do all by herself. You know that toddler stage when they scream "Myself!" They simply must do this themselves or else. 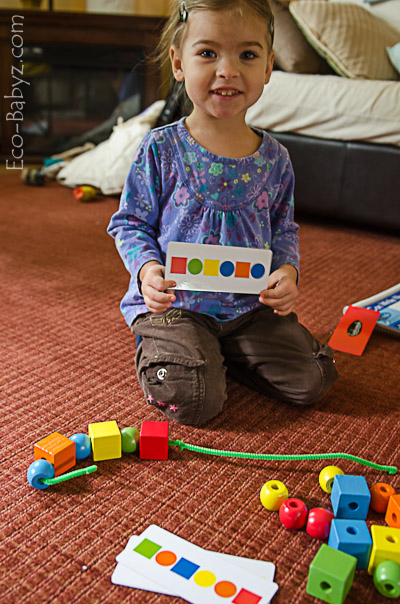 We got our chance to leverage that desire to do everything herself when we received the Fundanoodle learning system. Since she is three and a half, we decided on the I Can Bead, Lace, Rip, Trace! Multi-Activity Kit and the Max and Alphie's Adventures! Activity Book at the 3 year old level. We also received two Pre K to K level products, the I Can Write Numbers! and Max and Alphie's Adventures! Activity Book 2. I picked these four items from Fundanoodle based on my toddlers need-to-learn spots and enthusiasm. We have already been learning some basic writing skills, but none for numbers yet. 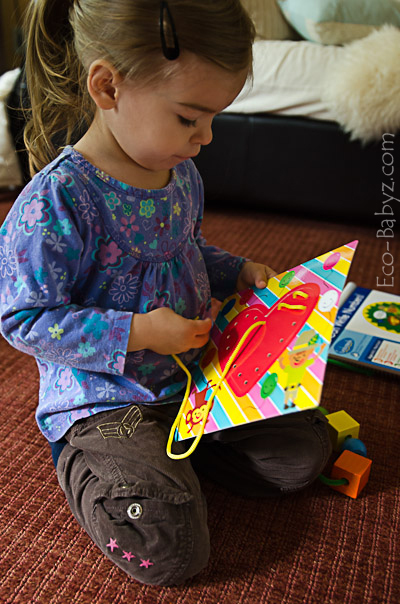 She also loves hands on activities that require concentration even though she can be short on patience. That's why I thought that the activity books, beading, lacing, and tracing are perfect for her to work on fine motor skills and patience. She absolutely loves the items we received! It is also rewarding as a parent to watch your child's enthusiasm when they are learning important skills and having a lot of fun while doing it. I love how she calls it her 'homework' and makes it sound all important - and it is! The beading and lacing are her favorite. For beading there are sequence cards included and she enjoys putting the patterns together. We've had a lot of progress with lacing as well, learning on which side to insert the shoelace and how to keep it from getting tangled. It's fun to see how a little child's brain processes all this information! She got so into it and the other day her grandmother gave her a collection of colored thread and she insisted on trying real 'embroidery'. I gave her my biggest, least sharp needle, we put the thread through it, and we were sewing through a small piece of cloth. Looks like I need to get her an embroidery hoop! Of course this was all started by Fundanoodle and the fun lacing activity. She still likes the lacing cards, but she is also now ready for something more challenging - only two weeks after receiving this package of fun. My favorite thing about Fundanoodle is that it makes things simple for me as a parent. While I could make these activities myself, it would take me hours to find materials, print pages, etc. Fundanoodle delivers a neat little package with everything you need and saves you time. It is perfect for early learning and teaches your child important skills that will get them ready for becoming proficient writers. Whether you want to supplement and give one-on-one attention to your kindergartner or preschooler, use it for early homeschooling, learn with your little one who isn't attending Pre K or K, or even use it in a group setting - it is great for all these applications. Congrats to Kendra K. on winning a Fundanoodle package in the Back to School Giveaway! Those are so much fun, we have two books like that where you put the thread through the holes, however my kids never been into that for some reason. 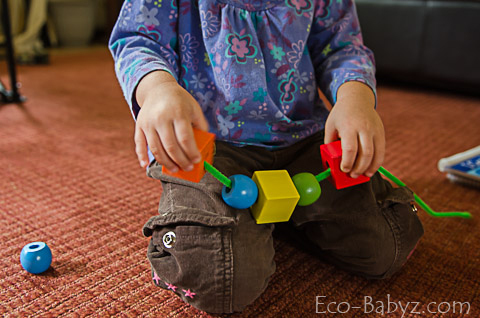 That's a fun way to learn patterns and motor skills. We have lacing cards from when my daughter was little, but these are so much cuter. Love it.